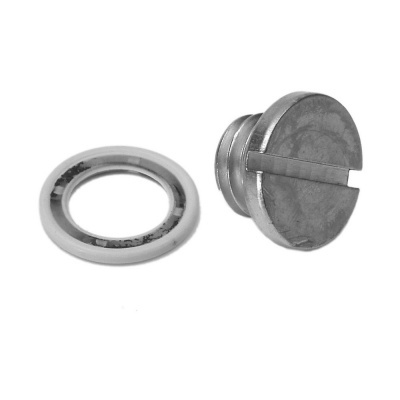 Non-magnetic Gearcase Drain Vent / Fill Screw with Fibre Washer Seal. For use on MerCruiser I, R, MR, Alpha One, TR, TRS and all outboards with 3/8"‑16 non‑magnetic gear lube fill or vent screws. For use on MerCruiser I, R, MR, Alpha One, TR, TRS and all outboards with 3/8‑16 non‑magnetic gear lube fill or vent screws. To fit Mercury / Mariner outboard lower units with 3/8" – 16 thread drain / vent screws.